I’M A HUGE FAN OF THE EARLIEST VERSION of the classic Technicolor film process, the so-called “two-strip” technique from the 1920’s, which simultaneously exposed two separate frames of black and white film of a single subject, one strip through a green filter, the other through a red one. 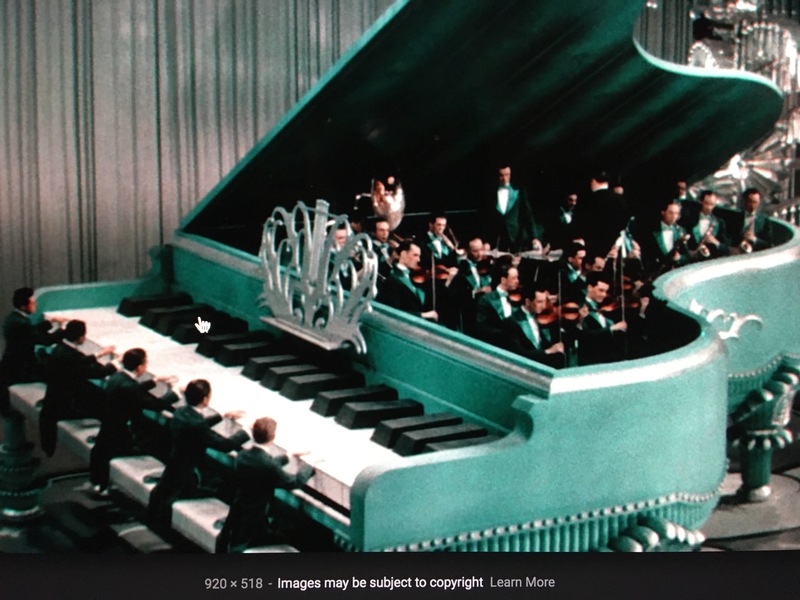 Combined in the lab, the composite image simulated most of the colors of nature that contained either red or green, but absent the third layer of blue/cyan which would be added in the more advanced three-strip Technicolor process, the one which became the industry standard by the early ’30’s. Two-strip features like Mystery Of The Wax Museum or The King Of Jazz are a kind of object lesson for photographers in learning to work with narrow color palettes. The message: do the most with what you’ve got. Every shooter encounters situations, most of them dictated by changes in available light, which severely limit the full spectrum of reproducible color. We might eagerly embrace the warmth of the two daily “golden hours” that bathe most bright hues in gold. We might bemoan cloudy days, which can drain everything of saturation or contrast. We might have to make adjustments when shade makes our cameras read light at the wrong color temperature, giving our images “the blues”. Whatever the challenge, photographers make myriad choices about color in a single minute, and, unlike the early technicians at Technicolor, they don’t necessarily see a faithful rendering of “reality” as Job One. How “natural” do we want to present color, and how do we define that word, anyway? Is color a determinant of comfort, tension, revelation, drama? Do we intentionally choose hues that either conceal or reveal? Deep sunset, as seen in the above image, is one situation in which nature itself narrows the color palette. All yellows and reds tend to morph into orange. All blacks, browns and grays migrate to blues. Middle tones head for the hills. Contrast jumps off the meter. Subtlety takes a vacation. Suddenly, as in the case of the old two-strip Technicolor, you’re forcing very few colors to do the work of many….to deliver a version of the world rather than a faithful reproduction of it. Color processes since the beginning of photography have embraced the idea that you could either reflect reality or, in the pursuit of a great picture, bend it a little. Or more than a little. Or a hell of a lot more. This entry was posted on September 29, 2018 by Michael Perkins. It was filed under Available Light, Color, Conception, Contrast and was tagged with Golden Hour, Saturation, Technicolor.